The 72 hours following Nov. 8 seemed a never-ending nightmare, beginning with the senseless shooting at the Borderline Bar & Grill in Thousand Oaks. 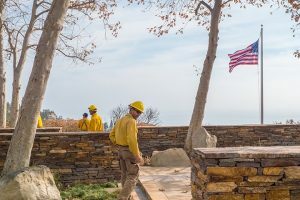 No sooner was the loss of Alaina Housley announced when word of the first flames of the Woolsey Fire reached campus, the Santa Ana winds pushing the blaze toward campus. Since Friday’s evacuations, flames consumed hundreds of structures and homes, many of them belonging to Pepperdine students, faculty, staff or their families. Malibu’s ocean blues and palm greens became overshadowed by thick heavy gray smoke and the orange-red blaze. The Pepperdine community will forever hold memories clouded with the smoke from the fires and the shooting at Borderline Bar. These events hold roles as defining moments in which students can draw strength and resilience from instead of weakness. Such strength can only happen after one heals and reestablishes a sense of safety. Life after trauma involves finding healing for the soul, the body and the mind. Pepperdine students, instead of striving to find a new normal, should realize that this is a new abnormal. For students like Pepperdine senior Monica Pereda, the trauma has been all too real. On Oct. 1, 2017, the largest mass shooting in America’s history occurred in Las Vegas, Nevada, resulting in 59 killed. Pereda’s mother attended the event and suffered a bullet wound to the arm. Pereda said she was supposed to attend Route 91 as well. However, she could not miss school. An almost deja vu experience occurred for Pereda in regard to the mass shooting that killed 12 at Borderline on Nov. 8, 2018, an event Pereda said she almost attended as well if it were not for an exam. Pereda’s concerns about whether anything is being done to change the status quo echoes similar sentiments by many others who have fallen victim to going through the motions and becoming desensitized to the shootings. A staggering 308 shootings took this year as of Nov. 12, 2018, according to ABC News. Pereda said she thinks because the shooting and fires took place in Malibu’s backyard, many students were caught off-guard. Pepperdine freshman Annabelle Childers was present at the Borderline shooting and recounted the emotions she felt after the fact. What helped Childers, and four other friends that were with her at Borderline, was seeing a counselor at the Pepperdine Counseling Center. Shelle Welty is a psychologist and associate director of the Pepperdine Counseling Center. She analyzed the effects these recent traumatic events can have on students and how to move forward. Welty said the primary responses to such traumatic events are feelings of horror, helplessness, isolation and the loss of power and control. The best way to approach recovery is in stages, Welty wrote. After there is a more consistent feeling of safety, it is important for traumatized individuals to put words and emotions to their experiences. The final step involves moving forward in life with a new understanding of one’s self and the future. It is important to realize that there are things that students do not have control over but also things that students can control and make progress in, like physical health. As healing is a multifaceted process, perhaps it can be more easily understood if broken up into the following categories: healing the body, mind and spirit. The body is a great starting point for the reestablishing the feelings of safety, which Welty mentioned as the most important step. As strange as it may seem, returning to a routine helps foster that feeling of safety. “The body has been thrown into survival mode and needs to be assured that the individual is now safe and that basic needs will arrive on a predictable schedule,” Welty wrote. Healing the body can also include spending time with relaxed and attuned people. After dealing with shootings where lives are lost or going through natural disasters where material possessions are compromised, one can find strength in community. Intentionally surrounding oneself with people who are reassuring and comforting is an integral step to take. Following both shootings, Pereda said her family spent the days together to regroup and find ways to deal with the trauma. Pereda said that surrounding herself with family helped provide her with peace and comfort. Other sources of comfort can come from talking with friends dealing with the same situations, or even engaging with animals. Mini Therapy Horses, a nonprofit charity, for example, has mini horses on-call 24-7 to provide comfort to those involved in traumatic incidents. They were present at the blood drives set up following the Borderline shooting. Welty wrote that traumatized individuals will need to be intentional about understanding the world in new ways. The Pepperdine Counseling Center continues to be a resource for students, and is reachable at 310.506.4210 or student.counseling.center@pepperdine.edu. The Counseling Center provides free, confidential emotional/psychological support to all Pepperdine students. Students took to social media following the traumatic events to find answers in the midst of shock and grief. Students can expect a traumatic event to shake the foundations of their life, including their understanding of God, faith, and fellow believers, Welty wrote. “Regardless of particular religious/spiritual beliefs, a loss of faith in the benevolence of the universe/other people/God can leave a traumatized individual feeling at a complete loss when looking for a place of security, stability, and peace,” Welty wrote. However, regardless of what religious tradition or spiritual foundation one follows, each comes out of a desire to understand the place of human beings in the universe. This means such foundations can also offer direction for dealing with the loss of understanding and confusion that accompanies trauma. 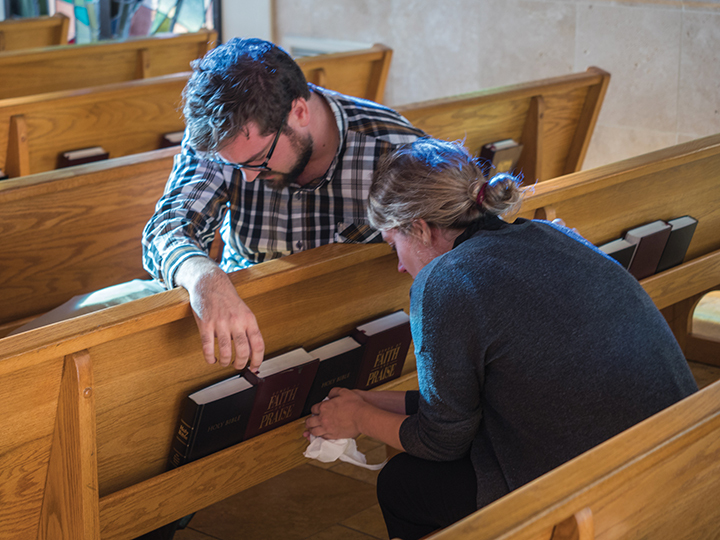 Pastoral support is available to the Pepperdine community through the Office of the Chaplain. Students can contact Chaplain Sara Barton at sara.barton@pepperdine.edu or Associate Chaplain Eric Wilson at eric.wilson@pepperdine.edu. 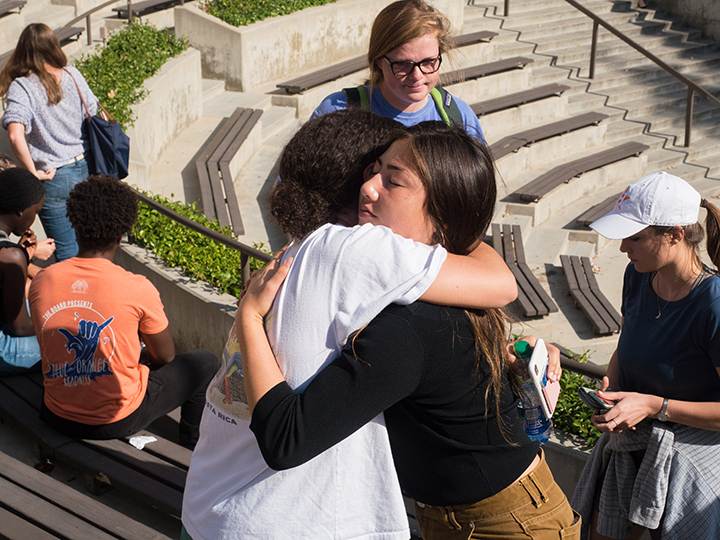 Spaces like the prayer service honoring Borderline shooting victims allowed students to come together to unite, pray and mourn. Similar opportunities to get together with others affected by either the Borderline shooting or Woosley fires, took place. Santa Monica High School put on a Friendsgiving Nov. 20 from 4 to 7 p.m. for all impacted staff and families from the Malibu area. On Thanksgiving Day, Nov. 22, organizations including City of Malibu, Malibu Chamber of Commerce, Malibu Jewish Center & Synagogue, Malibu United Methodist Church and Pepperdine hosted a Malibu Strong Community Thanksgiving from 11 a.m. to 2 p.m. at Waves Cafe. On Nov. 18, 1000 people gathered at Vintage High School to remember the life of Alaina Housley, the freshman Pepperdine that died in the Borderline shooting who was also a daughter, sister and friend. At the event, Arik Housley urged the audience to “put down your phones” and take an interest in their families and those around them. A memorial service honoring the life of Alaina Housley will be held at 9:30 AM on Wednesday, November 28, at Pepperdine’s Firestone Fieldhouse. Events such as these can help students and families find direction in such a time of uncertainty and questioning. “Allowing the struggle and expression of frustrations and disappointments in a safe community will lead toward a new understanding of their spiritual lives that fits with their new experiences,” Welty wrote. Sarah Stone Watt, Communication Division divisional dean, echoed the idea of intentionally making time to reconnect with others. Stone Watt said she has benefited from opportunities to connect with friends, family, and her church community in the week following the traumatic events. “Talking through what has happened, listening to friends’ experiences, praying and worshiping together and finding ways to meet needs in our community have all been healing for me,” Stone Watt wrote in an email. 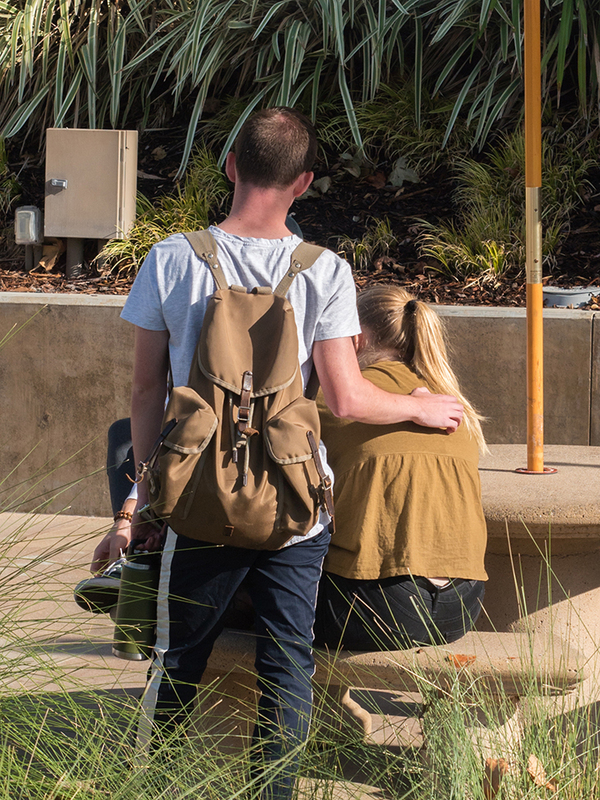 As students return to campus, the hope is that students recognize that everyone on campus will be processing grief and traumatic events, and that they are not alone. As students return to a regular schedule, Pereda hopes students do not forget what has taken place at Pepperdine and the surrounding community, especially in regards to the Borderline shooting. 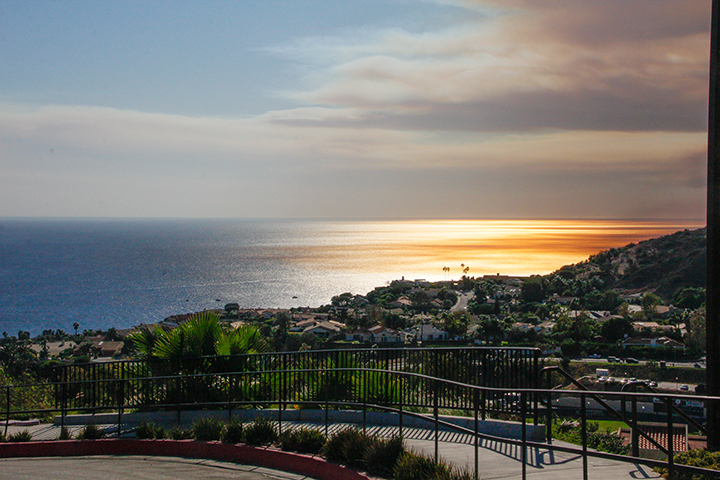 The Pepperdine community truly remains strong and is ready to rebuild. The Unite Pepp Movement, led by seniors Elijah Zoarski and Julia Donlon, created a video made of several clips from the fires and shootings with voiceovers of Pepperdine students to show that Pepperdine remains an unbroken community. 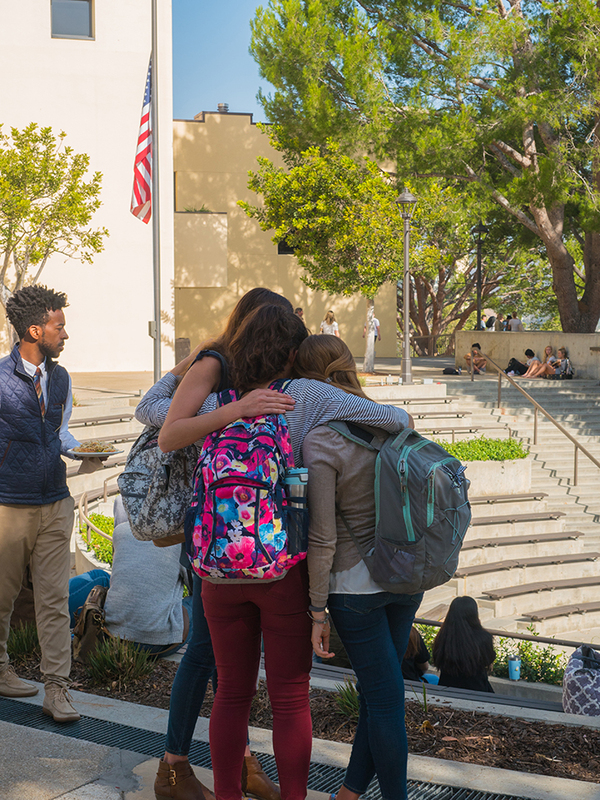 With school starting up again on Nov. 26, Welty wrote that Pepperdine needs to be a trustworthy community to one another, acting with kindness and compassion as everyone does their best to cope with all that has happened.